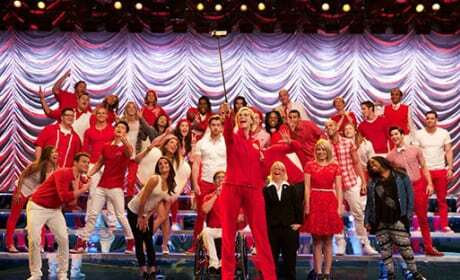 The cast of Glee takes a final bow on Glee Season 6 Episode 13. Sue captures the moment with a selfie stick! 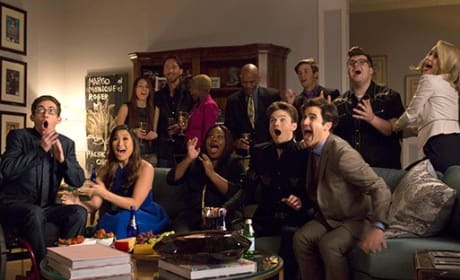 The group celebrates something magnificent during Glee Season 6 Episode 13. 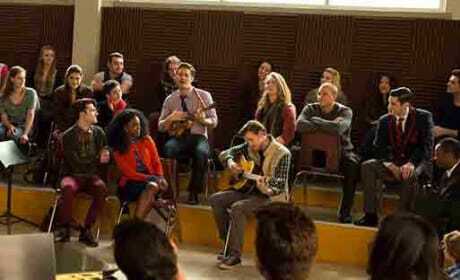 Rachel Berry is absent. Might she be winning a Tony Award? It's a bird! It's a plane! It's BLAM! 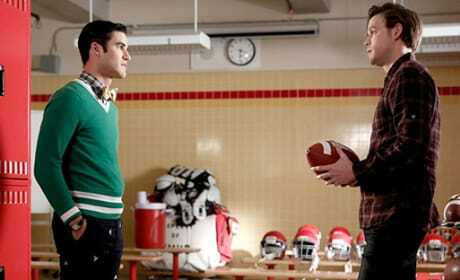 Blaine and Sam have a discussion in the locker room on Glee Season 6 Episode 13. 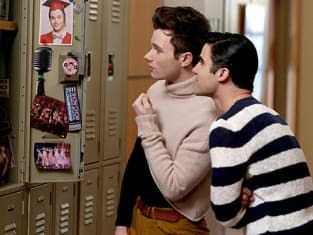 Blaine and Kurt reminisce during Glee Season 6 Episode 13, the Glee series finale. 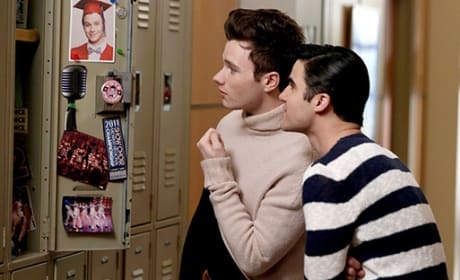 We'll also be treated to a glimpse into their life together post-Lima.